ADMIRE MARE (PhD.) 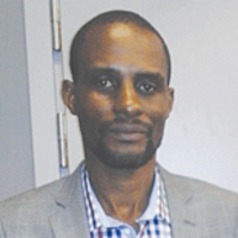 is currently a Senior Lecturer at the Department of Communication, Namibia University of Science and Technology (NUST), Namibia. He holds a PhD and Masters of Arts in Journalism and Media Studies from the department of Journalism and Media Studies, Rhodes University, Grahamstown, South Africa. Mare also holds a Master’s of Science in Sociology and Social Anthropology and a BSc Honours in Sociology from the University of Zimbabwe. He also holds a diploma in mass communication from Harare Polytechnic’s School of Journalism and Media Studies.